Taking control of your cholesterol needs to be a daily effort to help you get healthy and stay healthy. First, it's important to know what cholesterol is and how it could be affecting you. While you may know cholesterol as a number, it's actually a wax-like substance contained in fats. Once inside the body, cholesterol is contained in the blood and used to build new cells. Having too much, however, is a problem. High cholesterol levels are directly associated with heart disease and can lead to heart attack and atherosclerosis. 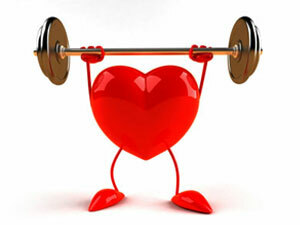 You can inherit high cholesterol (hypercholesterolemia) or develop it to due lifestyle. Either way, cholesterol can be managed. There are two numbers you need to worry about when it comes to your cholesterol: high-density lipoprotein (HDL) or "good" cholesterol and low-density lipoprotein (LDL) or "bad" cholesterol. The magic number for adults is a total cholesterol lower than 200 mg/dl. Fiber is carbohydrates, found naturally in certain foods, and fiber can be either insoluble or soluble. Insoluble fiber promotes proper digestion by binding with stools to help prevent constipation and treat chronic conditions like irritable bowel syndrome (IBS). When it comes to cholesterol, soluble fiber is key. Since your body cannot fully break down this fiber, it binds with cholesterol to prevent the body from absorbing and storing it throughout the body. Foods like vegetables and grains are good sources of fiber and powders, tablets and capsules are available. Adult men should have between 30 and 38 grams of fiber daily, while adult women should consume between 21 and 25 grams. Extracted from the meat of coconuts, coconut oil is rich in saturated fats -- which sounds bad at first -- containing lauric acid, which have instead been proven to raise HDL as opposed to LDL. Coconut oil also contains monounsaturated and polyunsaturated fats, polyphenols and vitamins E and K as well as iron. You can use coconut oil in place of traditional cooking oil or you can mix a few tablespoons of the oil with warm water and drink it. Coconut oil also promotes proper digestion and healthy weight loss due its medium chain triglycerides. Not a web browser, guggul is actually a gum resin that has been used medicinally since 600 B.C. Produced from the Commiphora mukul tree, guggul is credited with raising HDL and lowering LDL due to its high levels of antioxidants, known as guggulsterones. These guggulsterones oxidize LDL cholesterol so it cannot accumulate in the arteries. Guggul has also been shown to help with pain caused by arthritis as well as back pain and headaches. Guggul also helps promote proper digestion. Your doctor will decide the proper dosage of guggul depending on your individual needs and characteristics. Red yeast rice is fermented rice that has a distinct reddish purple color. Although traditionally used in Asian cooking, this rice has been credited with lowering LDL levels. According to Traditional Chinese Medicine (TCM), red yeast rice has been used since 800 A.D. to help increase energy levels, promote proper digestion and strengthen the blood for circulatory health. For best results, Dr. Mehmet Oz recommended 1,200 mg of red yeast rice twice a day on the June 6 episode of "The Dr. Oz Show." Typically found growing on decaying or dead wood, oyster mushrooms have flat, fan-shaped caps that can grow up to 10 inches in diameter. They contain fiber, vitamins and minerals and are fat free, low in sodium and carbohydrates and high in protein and fiber. These mushrooms help to lower levels of "bad" (LDL) cholesterol because they contain statins which work with the liver to help rid the body of cholesterol. To get more of these cholesterol-fighting mushrooms in your diet, you can either eat about one half cup a day or take a supplement to see the benefits. Speak with your doctor before adding one of these supplements to your regimen, especially if you're already taking medication like statins for cholesterol. Once you have your numbers where you and your physician want them to be, you can greatly reduce your risk for future medical issues. A natural approach may just help you get there. Why you may like this product? This powder supplement is made from water-soluble fiber that dissolves easily in liquid and has no taste. You can mix one level scoop of this product into your favorite drink or even add it to soups and sauces to help lower your cholesterol. Why you may like this product? Our red yeast rice is produced carefully to prevent the development of toxins associated with the fermentation process. Two capsules provides 1,200 mg of organic red yeast rice to help lower LDL levels. Could bergamot extract be the solution to your high cholesterol? New research shows bergamot supplements can positively impact cholesterol levels. Found in many whole foods and supplements, plant sterols can provide essential support for maintaining healthy cholesterol. Read on to find out more. Your cholesterol levels are dependent upon a variety of factors, including diet, exercise and supplement routine. Keep reading to find out some of the best foods and supplements that can help you to maintain healthy cholesterol levels.